Below is good links to the harbors advertisers and partners. Bagenkop Fishing- and yachting harbor welcomes all our sailing guest to good and safe surroundings with good mooring. The harbor is navigable night and day. Water The depth of the water is 3 m. At mean sea level. There is washingroom, kitchen, living room and Internet café. Additional we have 10 bikes that can be borrowed for free from the deposit. Dageløkke Harbour is a small port where you put on if you want to get away from the daily hustle and bustle. The port has provided a "sailor room" available where the sailing guests and others can gather for a cozy togetherness, while enjoying views of the harbor and the water between Funen and Langeland. 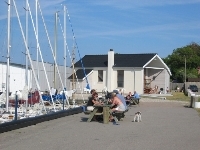 Lohals has a cozy environment with restaurants and a very popular marina. We are a popular sports fishing area, and for those who want to sea and fish, there are several hire a boat in Lohals. Sydmolen in the old port is a total re-built new sailor and community center, new toilets, showers. The house has got a new and better location, overlooking the marina, you can even planning to sail to the house in his dinghy and go directly to the house of a "Spanish Steps"
Lohals Harbour pleased to show the functioning lasting facilities forward, and look forward to and serve the new and old customers. Ristinge is the smallest on Langeland, but perhaps the friendliest - you feel time has stood still here for many years. There are plenty of environment on the harbor - and the opportunity to buy fresh fish. Rudkøbing Harbour, is a borough municipal harbor, with many activities: Ferry, commercial port with slipway and a very fine marina with all facilities. Guest sailors will become a very informative brochure about the harbor. Spodsbjerg tourist boat harbor which has 180 berths offers our sailing guests some of the best conditions found where Denmark is at its most delightful. 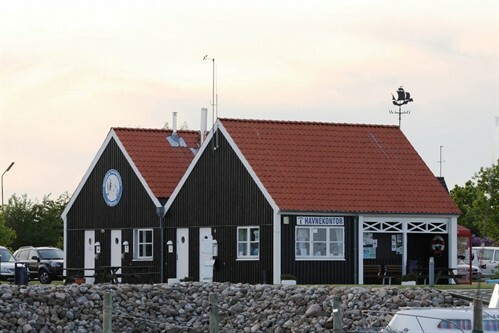 In addition to yachtsmen the harbor also appeals to anglers since it is located in one of Langeland's best fishing waters. We wish you a pleasant stay in Langeland's only east-facing port. Strynø is a small island, Rudkøbing municipality, about 3 miles SW of Rudkøbing. The port, which has not been exposed to any great change over time, is located on the east side of the island. From Strynø there are daily connections with the ferry "Strynboen" to Rudkøbing.